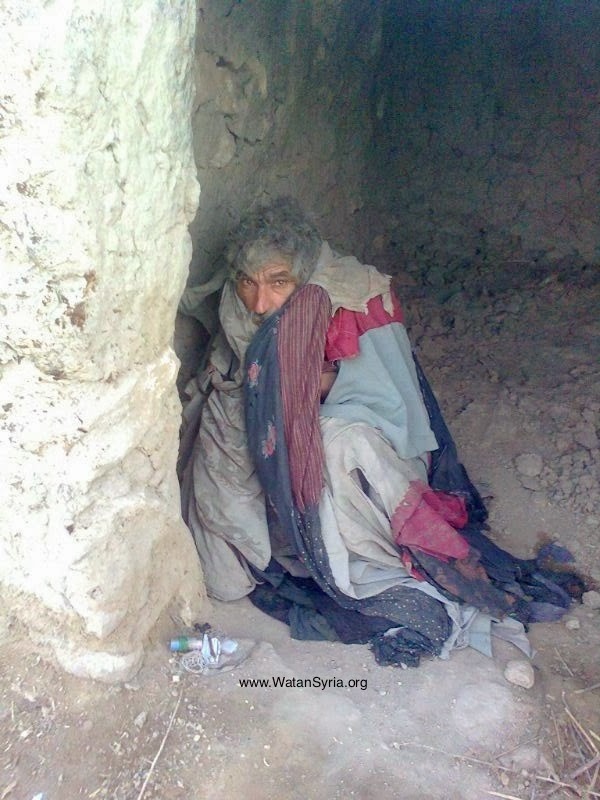 Maysaloon - ميسلون: Dying for the "Big Picture"
Dying for the "Big Picture"
Take a good long look at this man photographed by the Watan Syria team as they distributed blankets to internally displaced people in Deir al Zor, Syria. This is what a broken man looks like. He has nothing except the time left before he dies. It doesn't matter what his name is, or what his story is. He's a man who was born in the wrong part of the world and with the wrong type of passport. Because that's how it is. People like him are not allowed to change their own condition, to ask for freedom or dignity. They have to crouch down beneath military boots and the "big picture", or freeze and starve to death quietly in bare hovels.